The Google Chromecast updated has just started. Your device will receive it automatically. It might take few weeks to get the update for your device. Chrome Releases blog listed this change log for the updated build. 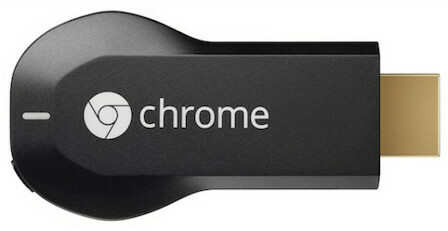 Google recently started selling their HDMI dongle in the UK from Google Play Store and through PC World & Currys for £30. There are plenty of apps that you can enjoy from Google Play Store in your TV. For me, it shows BBC iPlayer, Netflix, YouTube, Google Play Movies, Google Play Music, Vevo, Red Bull TV, Plex, Real Player Cloud and Rdio in the UK. These are the official supported apps for Google Chromecast. They can’t play local content, from your phone. App developers are making it possible. There are different apps like AllCast, Auto Cast; which lets you stream your photos or videos from your phone, Dropbox or Google Drive.